Aditya Patel and his team-mate from OD Racing, Mitch Gilbert had a disappointing race weekend at Suzuku in the 2017 Blancpain GT Series Asia. The duo had a good qualifying round, and managed to secure pole position for both races. In the Race 1, Patel took the start but lost two positions by the time he went into the pit stop for a driver change. They served their five second success penalty from a previous weekend and when Gilbert got back on the track, he was in fourth place. However, he managed to get to third before the chequered flag. In the second race, Gilbert took the start but lost three positions before he entered the pits a little early to hand the car over to Patel. Despite the wet conditions, Patel managed to work his way up the ladder to take the lead, and then started to pull away. With just seven laps to go, disaster struck, and the car's tyre blew out, which ended their race. 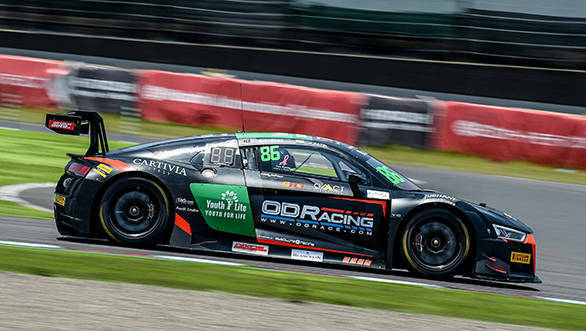 OD Racing is currently third in the overall standings, and the next race will be held in Fuji from August 19-20.